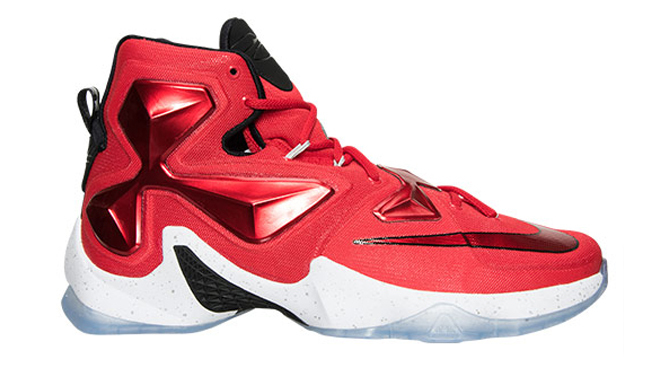 An away look for King James. 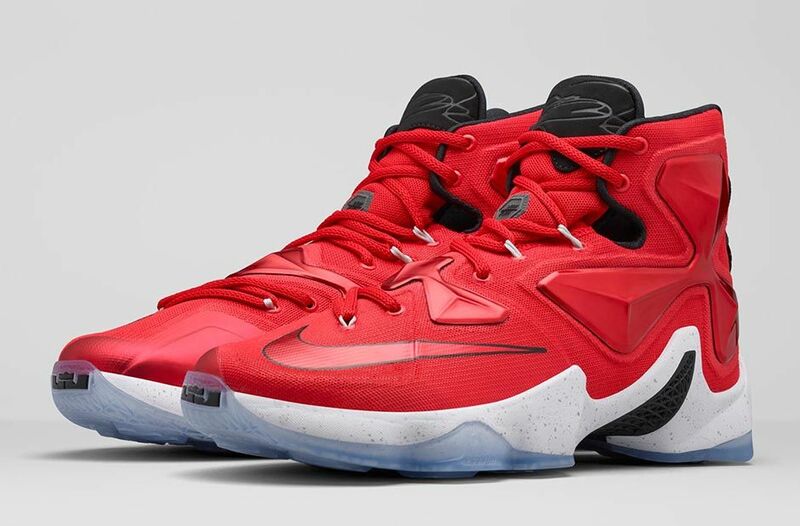 The LeBron 13 should get its NBA debut soon enough, as the Cavs season is set to begin with an Oct. 27 road game against the Chicago Bulls. 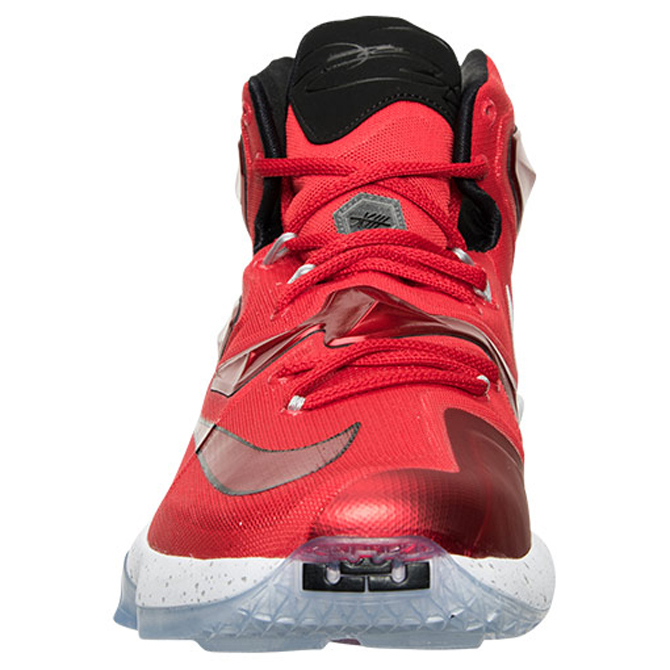 What will likely be on-feet for LeBron James during that match is this, the officially designated "Away" Nike LeBron 13. 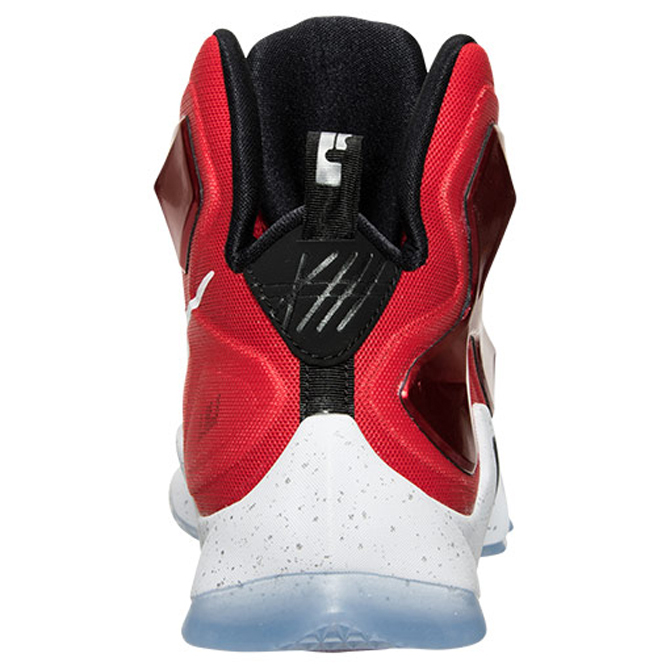 The sneaker features Cavs colors on the upper along with speckling for the midsole and an icy, translucent treatment for the outsole. 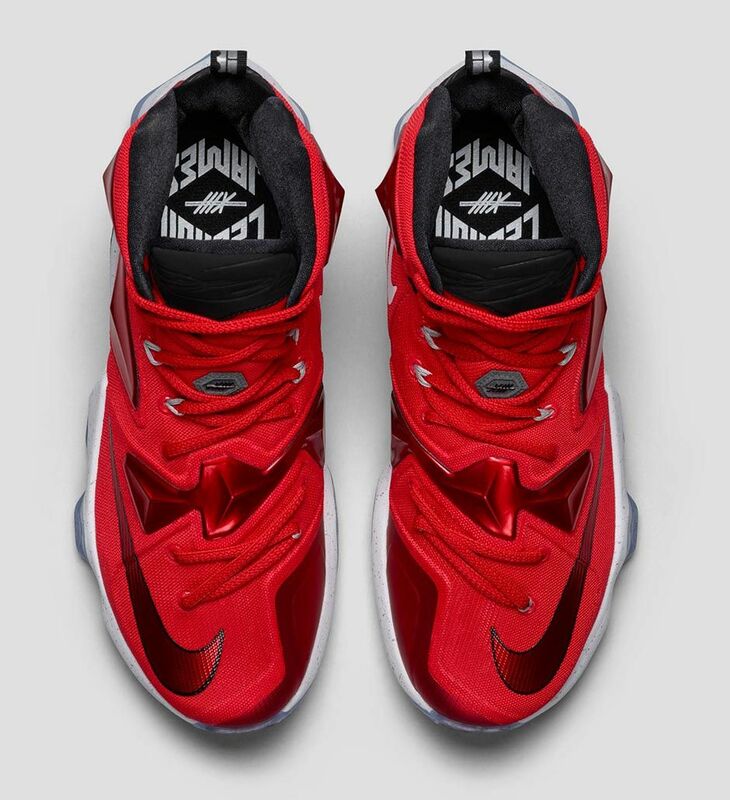 LeBron will have access to PE pairs of the Nike LeBron 13, but this will be his go-to for road trips, and is the most likely pair to appear on-court when the season starts. 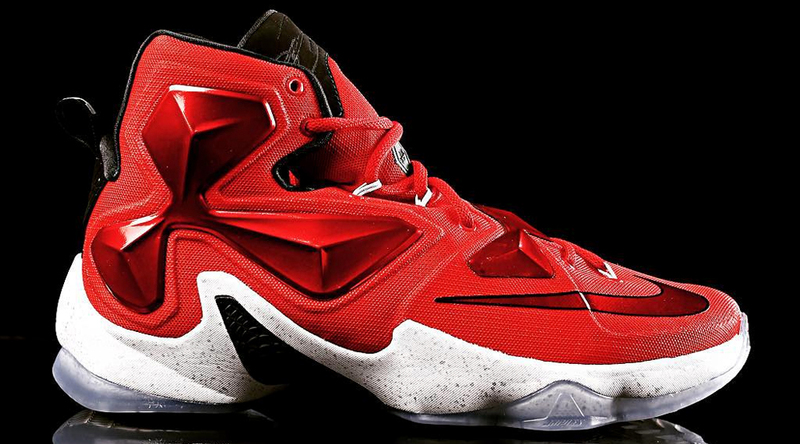 These "Away" LeBrons are scheduled for a retail release on Oct. 24. 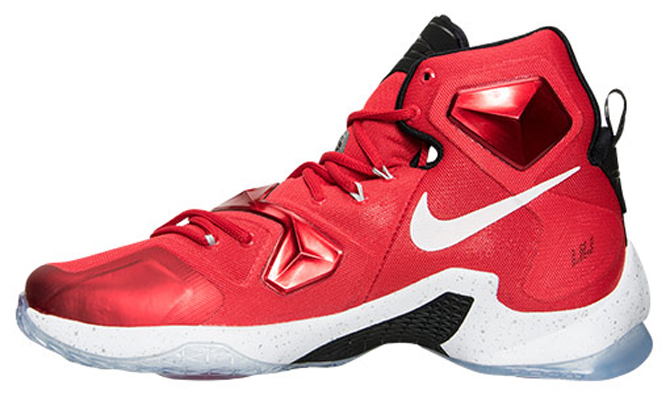 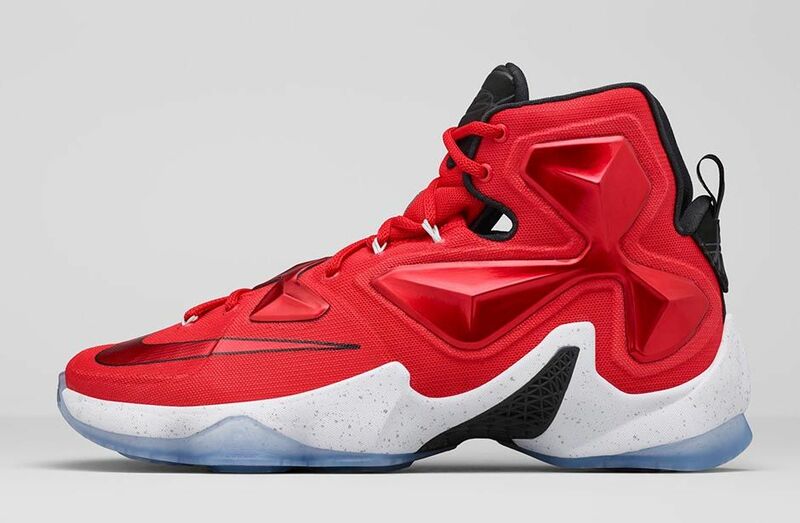 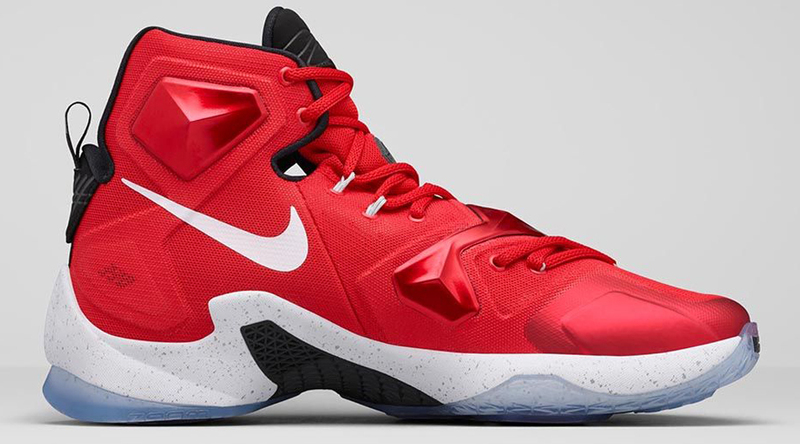 UPDATE 10/23: This Nike LeBron 13, officially called the "On-Court," will release on Oct. 30. 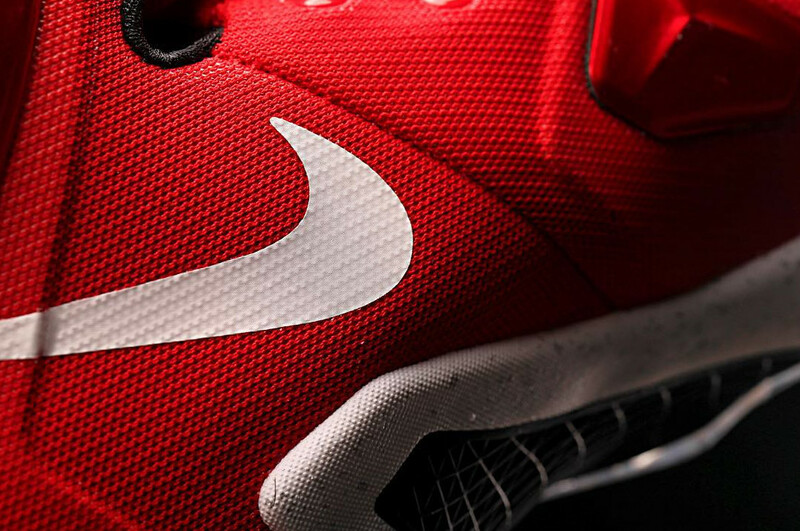 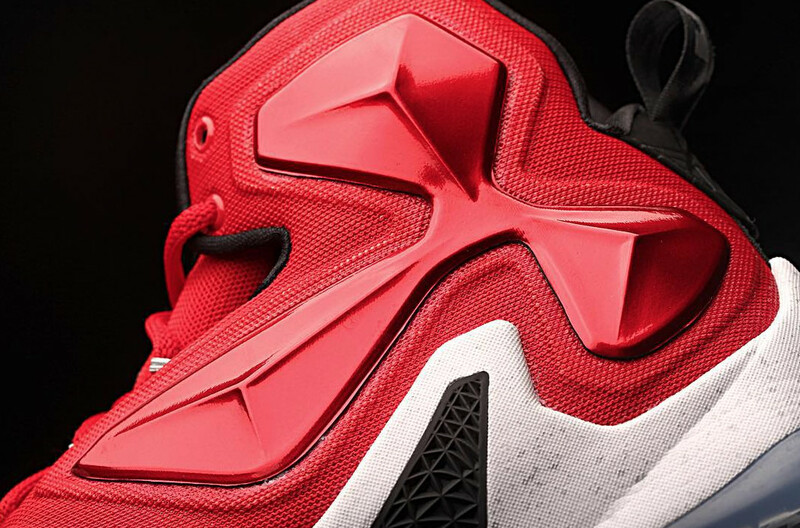 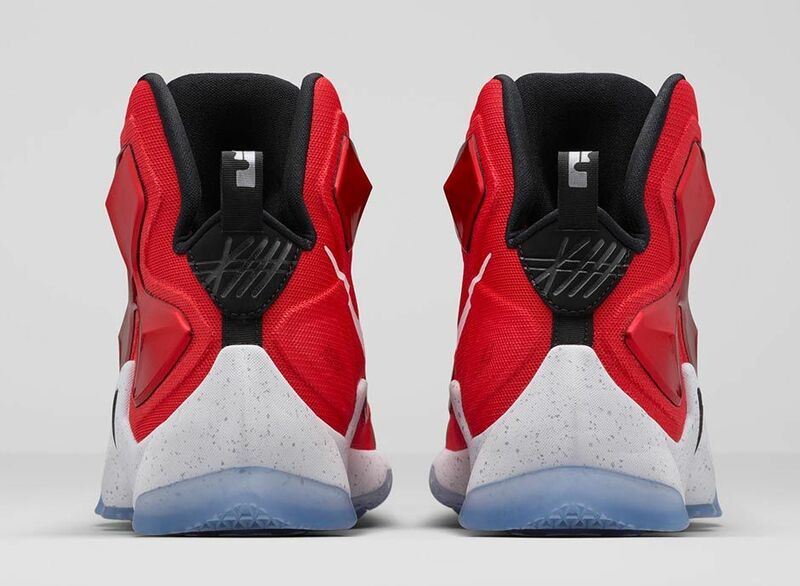 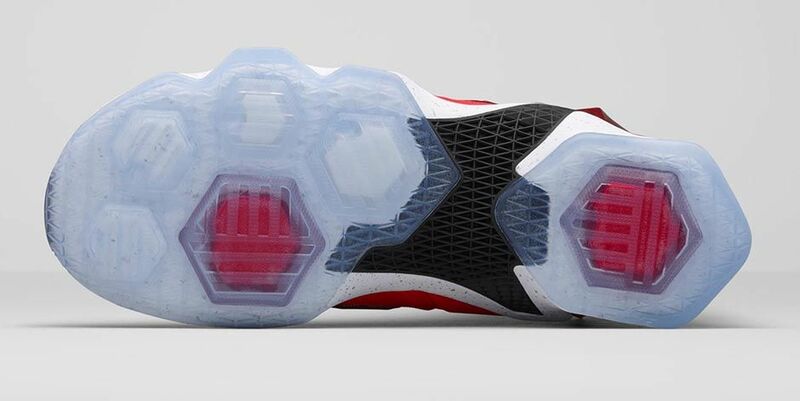 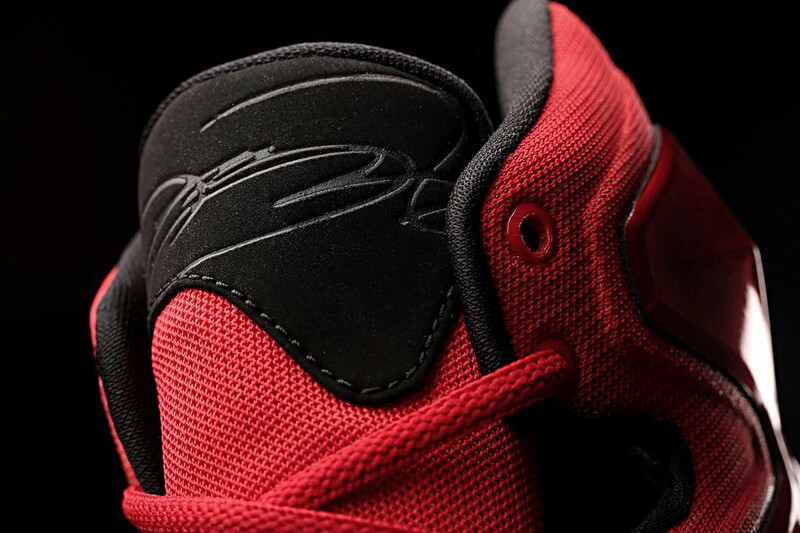 UPDATE 10/12: Detailed images at the upcoming "Away" LeBron 13s.